As alumni of Gavilan College, you are a significant part of our community. 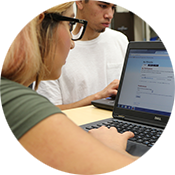 We encourage you to participate in activities and special events at Gavilan College. 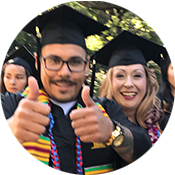 Many graduates of Gavilan College have embarked on careers throughout the world, while others have stayed close to home, but wherever you are, we encourage you to stay in touch. Join the Gavilan College Alumni Network! Learn more about the history of Gavilan from the resources below. As we prepare to celebrate Gavilan College's 100th birthday in 2019, we are excited to hear how Gavilan College has impacted, influenced or changed your life. We invite you to connect with us to receive information about our Centennial Celebration activities, as well as provide you with an opportunity to share your "Gavilan College" story and submit a photo by completing the brief form below. We look forward to celebrating the college's past achievements and your personal successes. Thank you in advance for sharing your "Gavilan College" story with us! You can click on the link here to submit your story and photo. You can find more information about our Centennial activities here, on our Educational Foundation web page.